Yes you can count on it! If you start to become self centered or self absorbed, you will fall into the trap of SELF PITY! 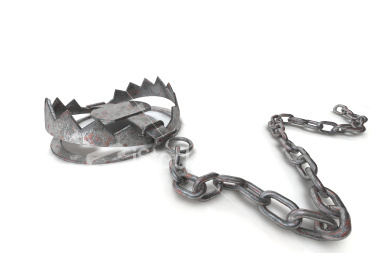 The Self pity trap, we have all been there and been caught in that! Well, at least I know I have been. It’s actually quiet embarrassing to admit when we are snatched up in it, but thankfully I realized today that I had fallen and I needed some help getting out! I can’t even believe I let myself fall into it in the first place. Self pity doesn’t tend to be a little hole, nope its usually more like a gigantic crater we get stuck in and we never know for sure how to get out of it because its so big and monstrous in size we don’t realize we fell in to begin with. Let me be a little more specific. It all happened about a few weeks ago. Well let’s back up to Easter. I was on a really good work out regimen, I was very strict with my eating and the inches were falling off. I was running daily and felt very good. My husband took a leave of absence from his job, and I started back full time at my part time job. My life was completely thrown out of my regular routine and it completely through me for a loop! I lost my motivation to stick to my diet, I lost my self control, I lost my discipline! I did however continue to work out as much as I could! The scale started going up, and my self esteem started crashing down. My jeans felt a little more snug. I also have a extremely bad habit of stress eating. I was stressing because I was trying to juggle it all with he husband home. Who knows how much stuff really gets completed when the husband is home!? Yeah, that is right, nothing!! 🙂 I am not complaining though, I have loved every extra minuet I have spent with him over the last month! The words coming out of my mouth were harsh and criticizing about myself, and I had finally had ENOUGH of my own self. 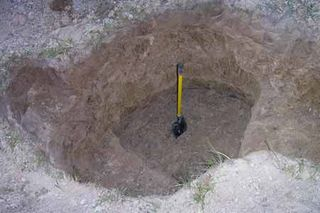 I’m sharing this all with you to help you dig yourself out of the hole you might have accidentally fallen into as well! So here we go. Let’s dig out together! Forgive yourself and move forward. I may have skipped out on morning runs and made choices to eat everything in sight, but it stops right now. I am consciously aware that I have a self centered problem which leads to self pity and I will not be stuck in that mind set any second longer. Self pity steals your beauty and it starts to make you ugly, but it starts from the inside and transfers it’s way to the outside. Joy will come back to you if you are willing to dig yourself out!